We all knew the No. 10 Wayne Taylor Racing Cadillac DPi-V.R was going to win a championship if they merely showed up to Petit Le Mans this weekend, and yes, that happened. But as always, the rest of the WeatherTech Sports Car Championship’s season ender was a bit of a wild ride. But from the race’s first hour, anyone who said future Acura prototype runners Team Penske would just show up and dominate with their IndyCar-heavy driver lineup had to eat a slice of humble pie. They started the first hour of the race with a bang, with their Oreca 07 Gibson colliding with the GTD class-leading Ferrari on the moist track. Hey! Endurance racing is unpredictable and tough. Just before the race’s last hour, Penske driver Juan Pablo Montoya made contact with the No. 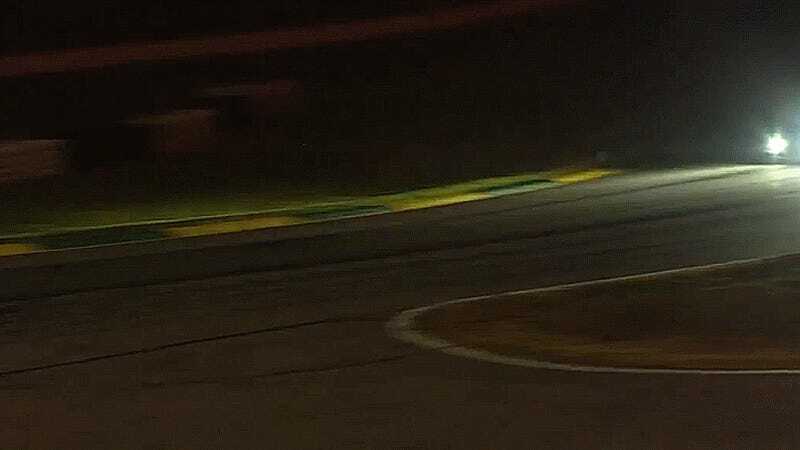 15 Lexus RC F GT3, puncturing a left rear tire. They ultimately finished third overall, though, which is admirable. They’re probably going to dominate when they finally bring out the Acura next year. The battle for the overall lead ultimately ended in the most anticlimactic way ever, though. The No. 5 Action Express Cadillac DPi-V.R had to serve a sixty-second stop-and-hold penalty for avoidable contact on a prior restart in the race’s final moments, handing the race win over to the No. 2 Tequila Patron ESM Nissan DPi. Porsche Le Mans prototype driver Brendon Hartley drove the ESM Nissan home to the checkered flag as yet more discussion of him going to IndyCar happened on the broadcast. C’mon, man. Out with your 2018 plans already. But what of the championship winners, Wayne Taylor Racing? They dropped out in hour three with engine issues. Surprise! Elsewhere, BAR1 Motorsports snatched the last ever Prototype Challenge win from championship winners Performance Tech Motorsports at the season finale. Performance Tech’s No. 38 made contact with the Rebellion Oreca and finished eight laps down from BAR1's No. 26. It was BAR1's first class win since 2013. The No. 25 BMW Team RLL took the GTLM-class win in their final race with the BMW M6 GTLM. BMW Team RLL gets the rad new M8 GTE. BMW only had one car left to contend for the lead after its No. 24 M6 GTLM suffered issues throughout the race, starting with steering problems early on. The 20th Anniversary running of Petit Le Mans was a fitting win for driver Bill Auberlen’s 400 race with BMW, too. Corvette Racing’s No. 3 car was crowned the GTLM champions, but the No. 3 couldn’t quite knock the BMW out of the lead at Petit. The No. 29 Montaplast by Land-Motorsport Audi R8 LMS GT3 won the GTD class at Petit Le Mans, and Scuderia Corsa’s No. 63 Ferrari 488 GT3 took home their second season championship in a row. The No. 63 encountered several problems during the race, though, with that early collision with Penske and later, a broken axle that took 40 minutes to fix. They finished 33 laps down from the GTD leader, but it was enough to get them the championship. GTD was full of problems, so they weren’t alone. Only six of the 17 cars in the class finished on the lead lap. Six! 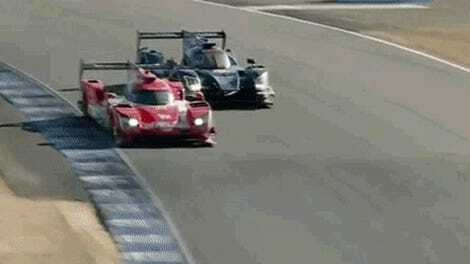 Endurance racing: still hard. Full results for Petit Le Mans as well as the season points can be found here. Next year can’t come soon enough. Correction [10/9]: The No. 10 Wayne Taylor Racing car was accidentally listed as the No. 5 up at the top. This has since been fixed.